Should I Ask for a Big Advance? Trying to get a music career off the ground can be an extremely expensive affair, and living hand to mouth is a fact of life for most indie bands. When a label starts sniffing around, the promise of a big advance check can sound like sweet relief. Even if your band is struggling financially, however, an advance may be just a mirage. 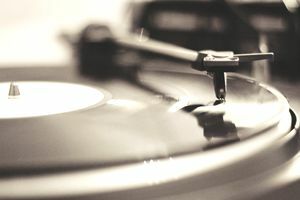 If you're signing to a major label, an advance of some sort is a forgone conclusion, but if you're signing to an indie label, it is a different story. Many indie labels are fighting to keep their heads above water just as much as the bands are, and to stay afloat; they have to spend money wisely. In terms of releasing a new album, the smart money goes on promotion. You can shoot yourself in the foot if you push a label to give you a big advance - it might get cash in your pocket in the short term, but if your label doesn't have enough money left to promote your album properly, then your career begins and ends with that advance check. Your album won't sell, you'll lose your deal, and you'll be back to square one. When you're signing to a label, it is best to take a long-term view and to remember that for you to succeed, your label has to succeed as well. One more thing to remember about advances - an advance is an ADVANCE. It is not free cash or a "signing bonus." You'll be paying that advance back out of the profits from your album sales.